Most Americans pay little attention to news that seems to have little to do with the United States. For many that means ignorance of the growing storm in Europe. I almost fell off my chair when I read that the British government is warning of riots in the wake of the collapse of the euro, that it is ‘only a matter of time.’ Here is the worst case the article painted.. Realize that the worst predicated case senario never happens and I am banking on it not occurring in this case. Still the threat of the euro collapse is likely to catch just about every American by surprise. Odds are it will have some impact on us. So what does this mean? There are a few things that we need to admit and act upon in order to solidify our economy. The American people need to take the economic bull by the horns and lead the recovery. Black Friday spending is reported to be strong, a solid holiday shopping season, which followed a good November, would be a prime example of what we need to do. American businesses must step up and begin hiring. Consumer spending can not be sustained without an influx of wages increasing disposable income across the board. Consumers and businesses must buy American. Need I say more! Political leadership must be in evidence. Congress is an embarrassment. The political parties are an embarrassment. State governments are not much better. Voters must take a look at all in elected office. If they are part of an ineffectual organization they’ve got to go. Even if they are your local representative. The electorate has to become less polarized. Compromise is essential in a democracy. It is in no way a dirty word. The electorate is the reason we have a political leadership crisis. Until we are able to have conversations and not shouting matches, there will never be legislation that will grow our economy. Frankly, to date the actions of congress in dealing with the country’s finances have served to be a disincentive for business to hire. Ultimately the blame for this rests with us. Are these five points achievable? We can not afford for them not to be achieved. The United States is past the time for action. 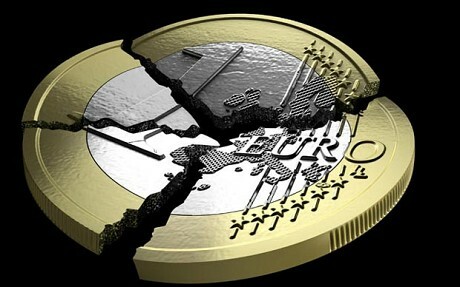 The clock is ticking and the effects of a European currency crisis probably can not be negated. Act we must, or our 2009 recession could look like the easy part of our economic problems. Posted on November 29, 2011, in Economy, Government, Life, Politics and tagged business, consumer, democrats, economy, euro, finance, government, republicans. Bookmark the permalink. Leave a comment.